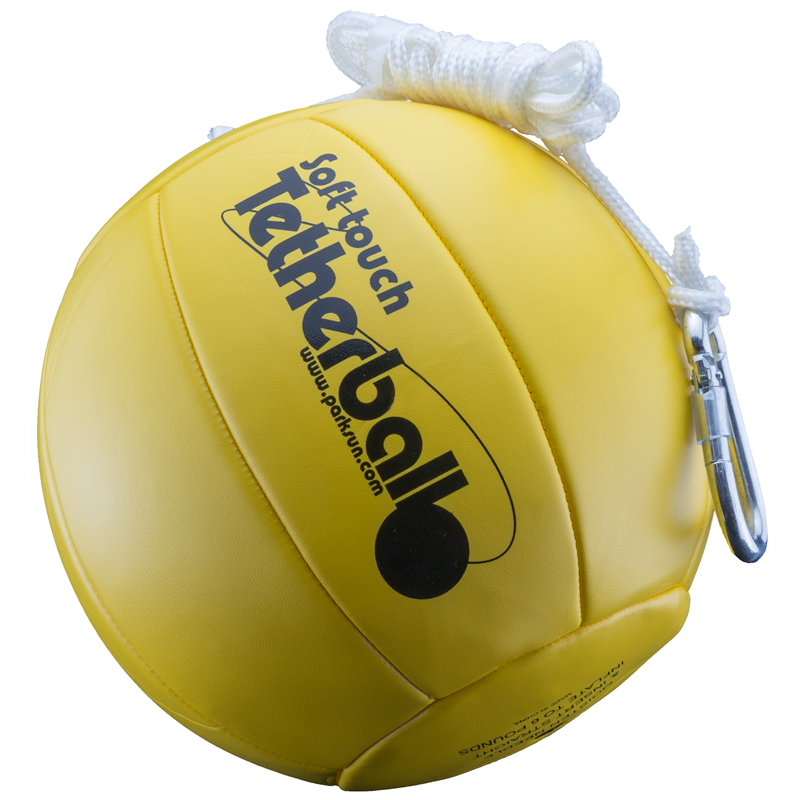 Generate some classic competition and nostalgia with a stimulating game of tetherball. Park and Sun Sports has a durable tetherball set for you, so that you can add a little piece of the playground to your backyard and have your very own tetherball court. Or how about playing tetherball at your next family gathering at the park? 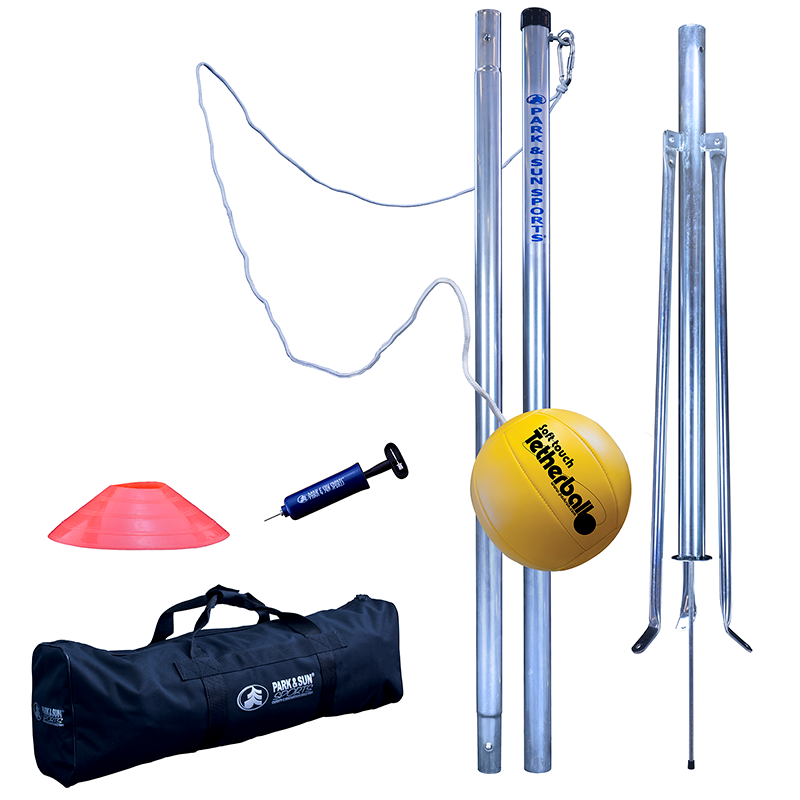 Park and Sun Sports introduces an innovative portable tetherball system that allows you to set-up on a grassy surface, with the Portable Tetherball set. 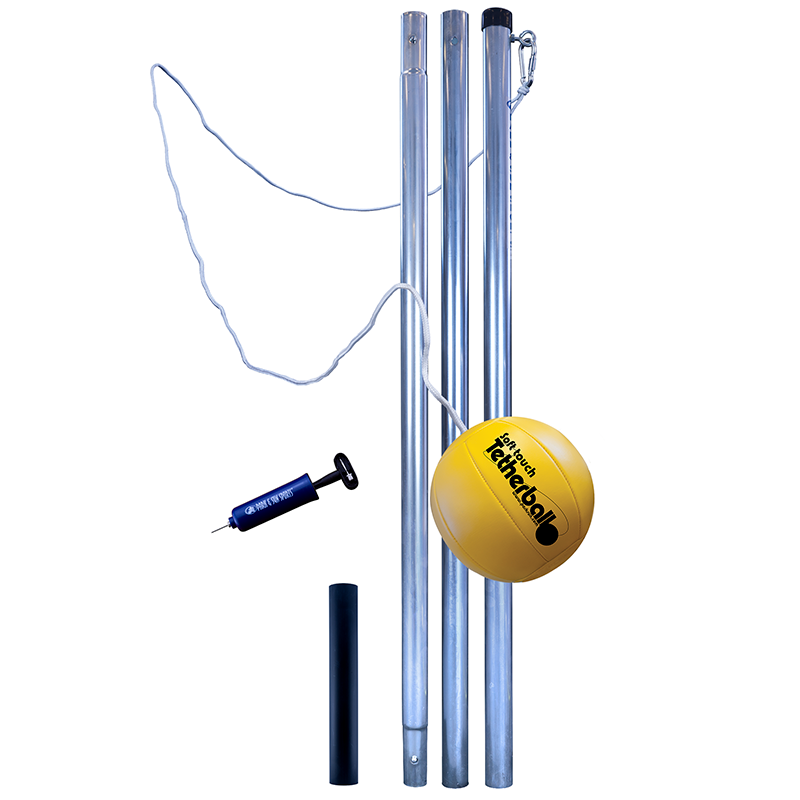 Each tetherball set comes equipped with highly durable and rust-resistant galvanized steel tetherball pole, with a 12’’ PVC ground sleeve to ensure secure installation and allow for removal. Forearms or hands hurt, no worries, each tetherball set comes with a standard sized tetherball made with softer volleyball type material which is easier on the hands and forearms. Durable and softer than a traditional rubber tetherball, the Soft Touch Tetherball is a perfect replacement tetherball and will provide hours of play. 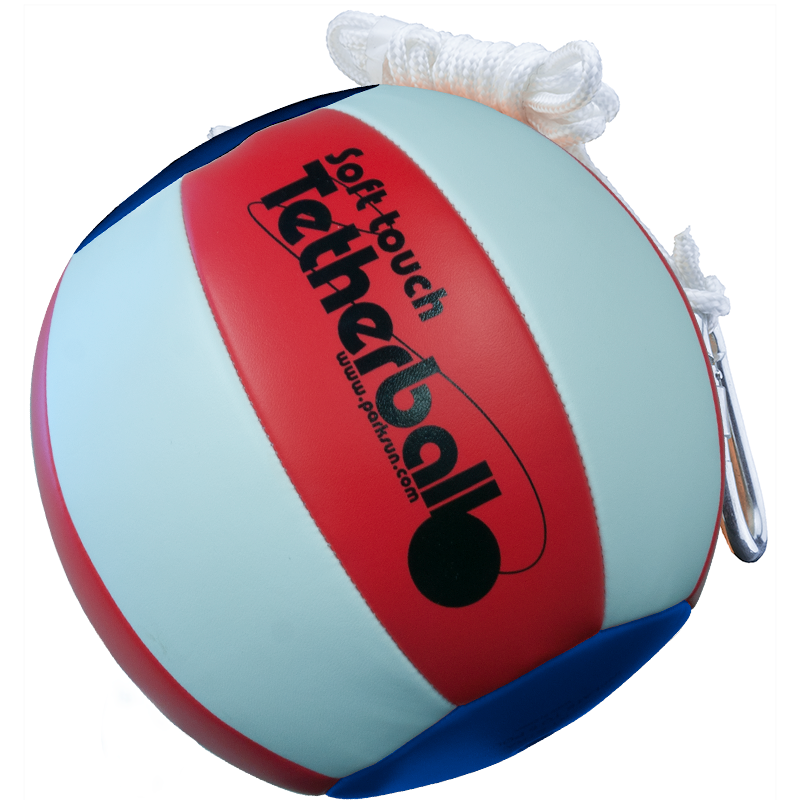 Soft Touch Tetherball; No Pain, Better Game! The playing circle is 20-foot, with each player assigned to one-half of the circle. The game is over when one player wraps the tetherball all the way around the pole to the point that there is no more rope to wrap. Once this happens, the winning player is ahead one game to zero games. 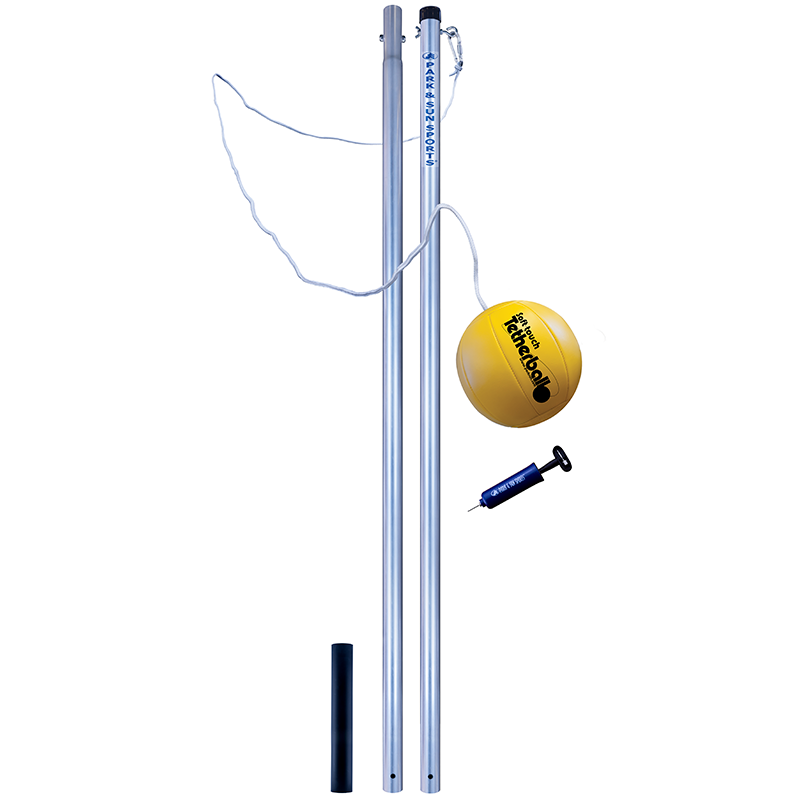 Tetherball players decide how many games a player needs to win to win the match. Typically the matches must be won by two games or more so that the order of serves doesn't determine who wins due to the receiver's advantage.